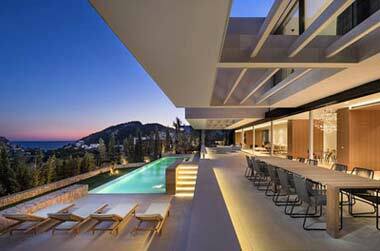 Looking for apartments for sale in Santanyi is often high on the list of people who come house hunting to Mallorca. Situated in the southeast corner of Majorca, the delightful and historic town of Santanyi attracts property buyers from far and wide looking for apartments for sale in Santanyi. 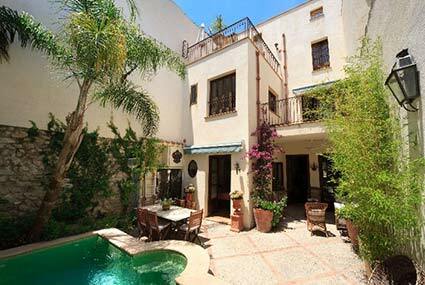 Santanyi has always acted like a magnet for people looking to buy an apartment in Mallorca. Located in the south east of Majorca, the town's attractive narrow alleyways bordered by ancient sandstone high-sided houses give Santanyi a quaint charm all of its own. Santanyi has two historic churches that are well worth a visit. Sant Andreu Apostol in Placa Major is Santanyi's parish church built in the eighteenth century and featuring an early Gothic chapel. The equally impressive Capella del Roser dates right back to the thirteenth century. 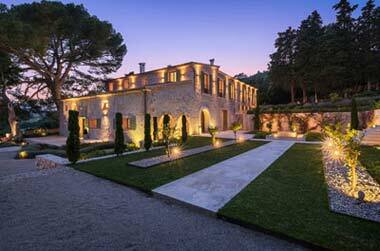 There is an impressive range of apartments for sale in Santanyi. 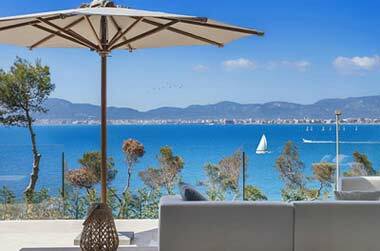 So whether your ideal Santanyi apartment is a bijou studio apartment, a cosy duplex apartment or a luxury penthouse apartment, we at Balearic-properties.com/en would be delighted to help you find your dream apartment for sale in the Santanyi area of Mallorca. Another famous historical landmark in Santanyi is the imposing Porta Murada, the huge gate to the old walled town. As you can imagine for such a delightful, traditional Mallorcan town, Santanyi has a wide choice of lively cafes, bars and restaurants to be enjoyed, many featuring the work of local artists. Es Cantonet was once an old town house, now it is a popular traditional Santanyi restaurant specialising in Mallorcan cuisine. Another popular eating place in Santanyi is Restaurant Anoa Santanyi. It's a romantic and relaxing place to chill and watch the world go buy whilst enjoying some top-class cooking. 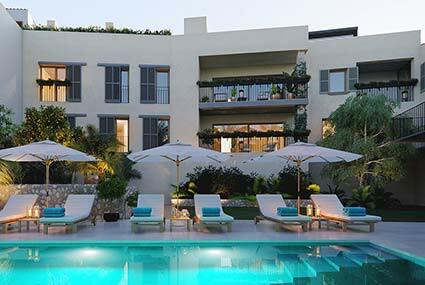 A delightful resting place in the heart of the town is Hotel Santanyi. A converted old stone warehouse, it features an attractive roof terrace with splendid views over the town. A few kilometres outside Santanyi town is Hotel Agroturisme Na Martina. Charmingly furnished with all mod cons to hand, the hotel is a haven of peace and quiet. One of the main attractions of Santanyi is the regular Saturday morning market, teeming in delicious local produce from the rural countryside surrounding Santanyi. Santanyi neighbours the picturesque Mondrago National Park, the second-largest protected wildlife area in the Balearic Islands. Highly recommended for its fascinating wildlife, the park also features two beaches: S'Amarador and Ses Fonts n'Alis, both providing an opportunity for cooling off in the crystal clear waters. In addition, Santanyi also enjoys direct major road links to Palma and its international airport. Yet another reason why so many potential homeowners come to Mallorca to look for apartments for sale in Santanyi.